Today I’m sharing this Lovely Vintage Bearberry Image! In this colorful red and green illustration a tall, slender stem holds clusters of tiny oval green leaves with two bright red Berries. The drawing includes the roots. 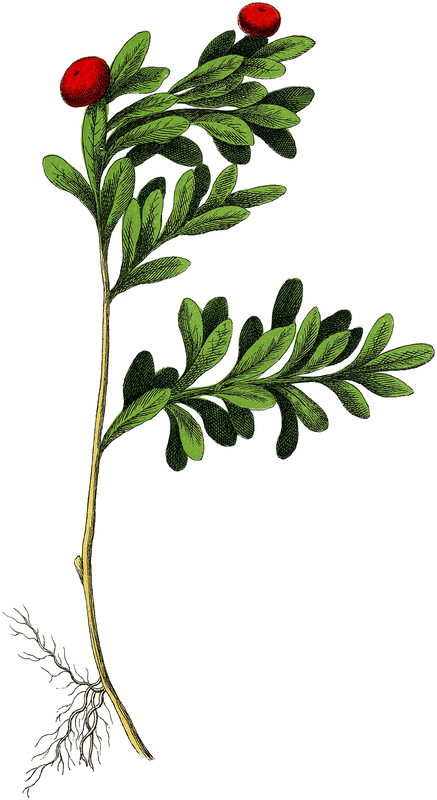 This plant is also known as Uva Ursi, which means Grape of the Bear in Latin. I thought the colors in this one lend itself well to Christmas projects! This botanical image was scanned from an 1880’s German book in my collection, you might also like another image from that same book HERE. « Scary Old Tarantula Spider Graphic!